Hello, lovely people!! You have no idea what a pleasure it is to be here today!! 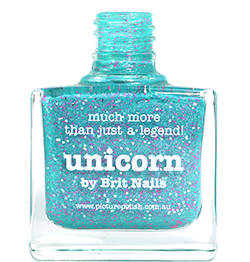 I constantly drool over Allie's gorgeous nails and to be a guest on her blog is thrilling! Thank you for having me, all! I'm currently writing this post under a heavy thunderstorm (yes, I know it's Spring, but Portugal didn't get the memo apparently). 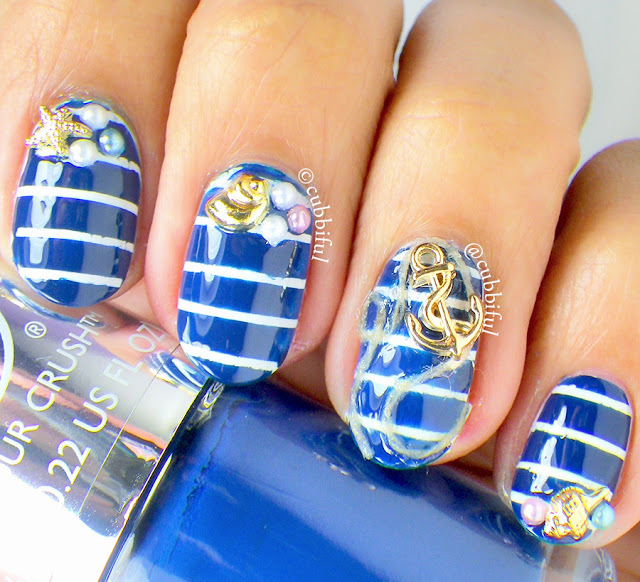 So in order to fight back, I bring you full on Summer nails with this nautical stripes design. I had some fun with striping tape, using The Body Shop Crazy for Blue over a white base. If you don't know me yet, come make a visit at Cubbiful or stop by over on Instagram to say 'hi'. Again, thank you so much, Allie, for the sweet invite - hope you're having a great time! 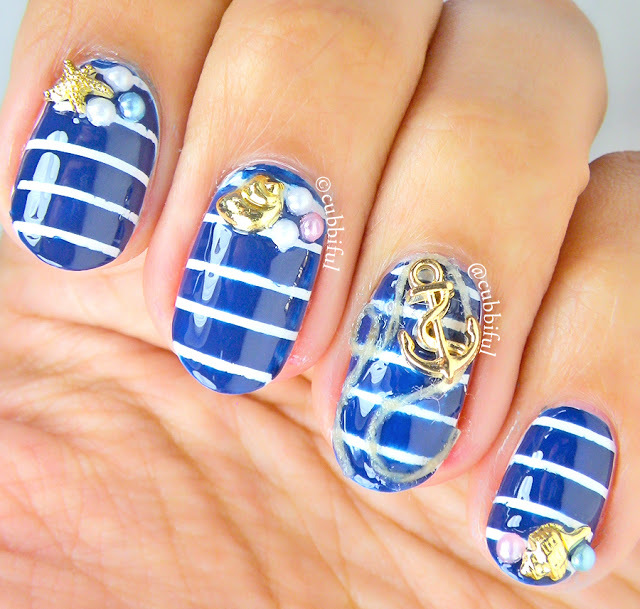 I love blue nails, particurally sailor nails. The golden details are great. Thanks for sharing.